With Iraq taking center stage on the world scene, lost amidst the fog of war are a small, once proud and once very influential people. For some reason almost completely ignored in the current discussions are 2.5 million Assyrian Christians. Scattered throughout Iraq, but primarily near the city of Nineveh currently known as Mosul these remnants of the great Assyrian Empire are frozen in time. It is their history that is little known. It was to them that Jonah came to bring the message of repentance and they repented. It was to them that the Apostle Thomas came and their King Addai repented for his people and Assyria in the first century became the first Christian Nation. The Assyrian Empire ended in 612BC and the Assyrian Monarchy was abolished in 300 AD. It is them that according to Kenneth Scott Lautorette became `The largest Missionary Force in History,` carrying the gospel as far as China and Japan, with recent discoveries confirming a presence as early as 86AD in China. It is the Assyrians that still speak Aramaic, the language that Jesus spoke. But the Assyrians, because of their Christian Faith, have suffered greatly in an area that is almost completely Muslim. Oppressed by the Persians, Mongols, Turks, and Arabs in World War II, nearly 2/3 of the Assyrian population died. Currently, the majority of the Assyrian Christians are in Iraq with approximately 100,000 in the Northern No Fly Zone, approximately 1 million in central Iraq, and another 100,000 scattered in the south, along with a population of approximately 4 million Kurds and 800,000 Turkomans - all Muslim. Another approximately 1.8 million Assyrians are outside of Iraq primarly in Iran, Syria and in the US, Australia and Europe. 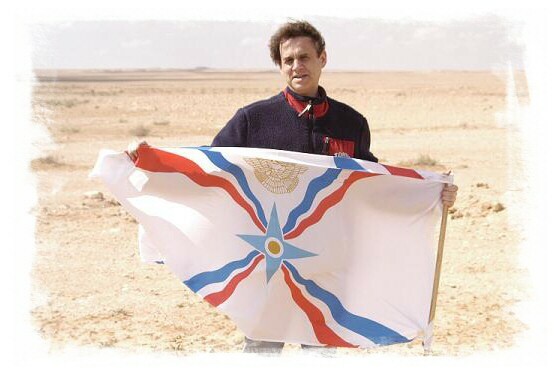 According to Wilfred Alkhas, who edits a Magazine for the Assyrian Diaspora, `One of the little known facts concerning the Middle East is the role of the Christians. Previous to the rise of Khomeni in Iran, Islam was generally a tolerant religion. Large groups of Christians, Jews, Zorasterians and others lived peacefully in majority Muslim populations for generations. Following the radicalization of Islam, though, nearly 90% of the Christians in the Middle East have left finding it impossible to live under the oppression of radicalized Islamic states. The reality of the current situation in the Middle East is in many ways more economic than political, as the economic system has basically collapsed, giving rise to young men with no hope for a job and a future, willing to give their lives for radical ideas that in normal economic times would be unheard of. The reason being is that it was the Christians that ran most of the small businesses in the Middle East, which kept the local economies growing. Their departure was, in many ways, what triggered the present economic collapse. Running small grocery stores, gas stations, restaurants, the Christians exerted leadership in an area that, with its prohibition of even the charging of interest, has not been able to be taken over by the Muslim majority. Currently the Assyrian Christians are in a extremely precarious situation. Sandwiched between the Kurds who are Muslims and supported throug the United Nations weapons for peace program, the Turkomans, also Muslims supported by Turkey, they are a minority of Christians in a region that is, with the exception of Israel, exclusively Muslim. Grudingly allowed to participate in the local Kurdish Parliement, the Assyrian Christians have five seats out of 105 they are extremely fearful of any post-Sadaam government. Currently, the State Department is attempting to put together a coalition of Iraqi Nationalist Groups to decide on a future Government, but the Assyrian Christians as the only non-Islamic group in the mix are at a decided advantage. Iraq, for all its fault, is a secular nation governed by a secular Baathist Party. The Vice President, Mr. Tarig Aziz, is a Christian and the Church is allowed the most freedom of any country in the Middle East, with the exception of Egypt. The Assyrian Archibishop for Iraq, Mar. Gewargis pleads for help for his people and Church. `We understand the concern and support of the Christians in the West for Israel, but find it hard to understand why the Church does not have the same concern and support. For all its faults, the Iraqi government has built Churches for the Christians`. In response to the current situation, The Keikyo Institute, an organization assisting Assyrians particularly in Asia, is asking Christians throughout the world to first pray for the Christians in Iraq, then to contact their legislators to request that the Christians be represented in the post-Sadaam Iraqi government. At the very least, the Assyrian Church is calling to the Church at large to support their status in the land that is historically theirs as the first Christian nation in the world. The next few months are extremely critical as the plans for a post-Sadaam Iraq are put together and the government and divisions of authority are being decided. Anything other than, at the very least, autonomy for the Assyrian Christians in their traditional homeland in Northern Iraq, centered around the city of Nineveh, present day Mosul, could very well result in another bloodbath that could see the last of the only major Christian presence in the Middle East gone forever. Rev. Ken Joseph Jr. was born and raised in Tokyo, Japan, where his parents met following the call of General Douglas McArthur for 10,000 young Americans to come and help rebuild postwar Japan. An Assyrian, his grandparents escaped Northern Iraq during the Assyrian Holocaust of 1917 and came to the United States and settled in Chicago. Ken graduated from the Christian Academy in Japan and Biola University in La Mirada, California, with degrees in Intercultural Communications and Mass Communications, returning to Japan in 1987. A Christian minister, Rev. Ken Joseph Jr. currently serves as a pastor in Tokyo Japan, is Founder & Director of The Japan Helpline (https://www.jhelp.com), a worldwide 24-hour emergency hotline and relief assistance organization, and is Founder & Director of the Japan-based Keikyo Institute (https://www.keikyo.com), which studies the historical roots of Christianity in Asia. Ken Joseph Jr, is well known in Japan, where he has just completed his eighth book in Japanese, hosts a radio program, serves as a commentator on numerous television programs, writes regular columns in Japan's major newspapers, and is much in demand throughout Japan to speak at universities, public forums and other gatherings.